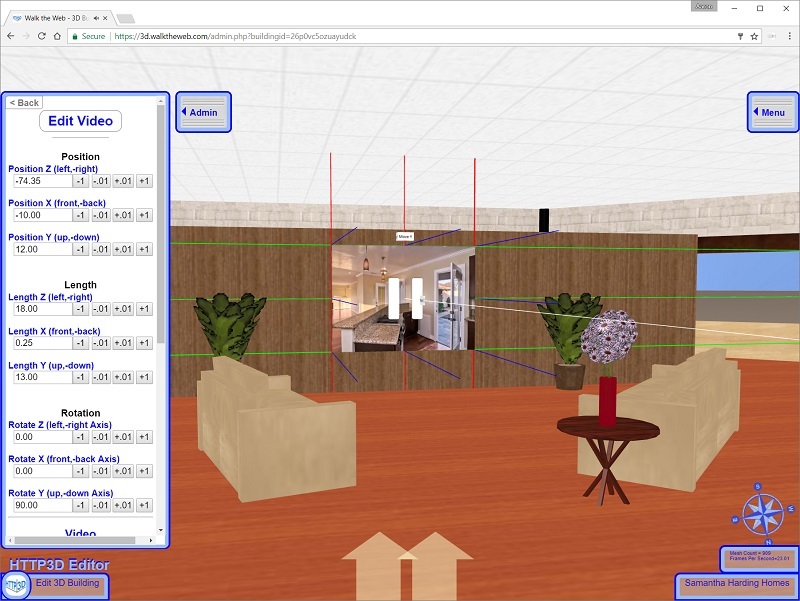 3D Web Objects are the answer for turning 3D Buildings into 3D Building Websites. 3D Web Objects are images, multimedia, links, text, forms, input fields, and information – that often defines traditional webpages – applied to 3D Building Blocks. The difference between 3D Web Objects and traditional web components is that they take on the three dimensional perspective. They change shape and angle of your view as you move. Some also include animation or automation aspects. Similar to how 3D Building Blocks can be positioned, scaled, rotated and changed using the 3D CMS, 3D Web Objects are also placed and edited using the 3D CMS.